Choosing the right roofing professional for your project can make or break your entire experience. If you choose a company that lacks experience, technique, and persistence it could result in a very costly mistake. Think about what your expectations are, know what you are looking for, and allow us to help you make an educated choice. We want to make sure that you are completely satisfied with your new roof and that it was a pleasant and stress-free experience for you. J Carnes & Son Roofing prides itself in being a family-oriented business. The owner, Jason Carnes, a 34-year veteran in the roofing industry, is dedicated in providing the best quality roofing solutions for the customer. Don’t settle for anything less than you deserve. Choose J. Carnes & Son Roofing for your project. It is our goal at J Carnes & Son Roofing to sell roofs by educating the consumer. With every presentation we provide a complete package of literature along with samples of all the products we propose to install. Our estimates are very detailed including brand and product descriptions, application techniques, optional upgrades and warranty options. At J. Carnes and Son Roofing, we have a team of roofers that have been with us for 5+ years. We use the same crew applying the same proven techniques on every roof we do. We highly encourage quality over quantity – we pay our workers by the hour so spending extra time on leak prone areas is never a problem for them. Be wary of low ball companies that use subcontractors or hire employees who are “paid by the square”. These workers are trained for speed over quality – this is how they profit off such low bids. Be certain that if a roof is not properly installed paying close attention to details- it will leak. 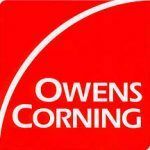 As an Owens Corning Roofing Platinum Preferred Contractor, Jason Carnes attended the 2016 Owens Corning Roofing Platinum Conference. At the national event, we were honored to receive the System Champion Award for our company’s industry-leading contributions to the roofing category. This industry recognition reflects our continued focus on bringing a results-oriented, customer-driven approach to running our business and delivering trustworthy, dependable work for New Hampshire homeowners. J. Carnes & Son Roofing offers the unbeatable combination of high-quality professional roofing services and competitive prices. Wondering how much a new roof will cost? Give us a call. We will make sure you get the quality roofing product you want at a price that fits your budget. Each year, Seacoast Online hosts a competition to determine which local businesses are truly the best. Businesses are nominated by community members and then voted on. This year, J. Carnes and Son Roofing is proud to be the first place recipient of the 2018 Best of the Seacoast award! We are honored to be recognized by our community for the quality work we do and great customer services we offer! To play our part in helping the earth stay green we immediately haul all debris to the recycling facility using our own dump equipment. Be aware that roofers who contract third party dumpster companies are putting your driveway at risk – heavy roll-off containers will easily damage an asphalt driveway if not placed properly.